Last October a small group of us took a field trip to YWAM San Francisco. After touring the facilities and the area, we knew that this was something we wanted to do. We wanted to bring children and their parents on a missions trip to the Tenderloin district. Our desire was to cultivate a worldview of God’s heart for people within the hearts of these children. This would be the first time we would take children as young as 5 years old on a missions trip. In January we (16 kids + 15 adults) started our missions trainings and the kids were excited about going together to serve those experiencing homelessness. But as we got closer to our time of departure, I sensed the excitement turning into fear and anxiety. And it was creeping into our team. A couple of the children approached me a week before we left, telling me that they didn’t want to go on the trip anymore because they were concerned about how dirty our sleeping areas were going to be. They wanted to know if the showers would be clean and were interested in what the building looked like on the inside and outside. AND they were determined to NOT talk to anyone they met. But little did they know that God had a bigger plan for them and in this plan it would include them talking to people. 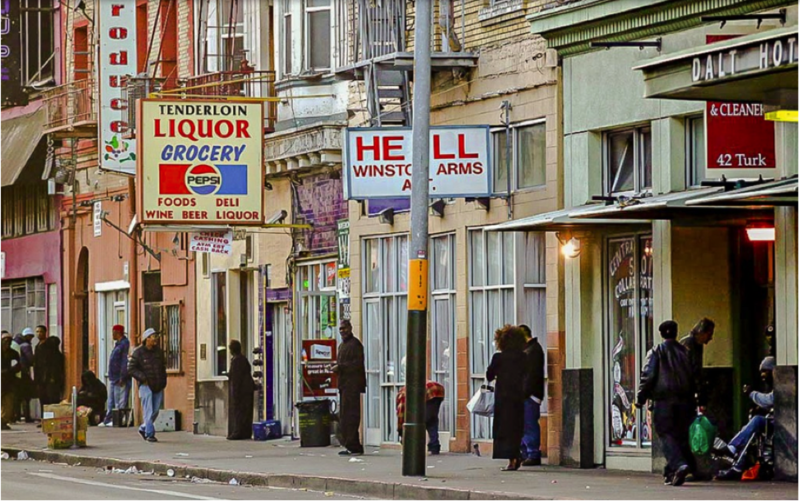 As we walked in groups through the streets of the Tenderloin you could see the brokenness of the people who were living on these streets. What I recognized was that these people were not too prideful to hide their brokenness. If they had anger in their heart, they showed it. If they carried lust within their heart, they displayed that too. Whatever sin or soul wound that was being held captive within their heart, they openly displayed it all. BUT, seeing people living in this way did not phase the children. They looked with concern and asked questions about what they saw, but no fear was present. I noticed that the more opportunities that were presented to the kids to speak to those living on the streets, the more courageous these children became. Love, courage, and compassion was their motivation. This is what led them to speak to people that most of us would ignore. The last night we were there, I was laying in bed reflecting on all of the stories I heard within the group, the people I met and those I prayed for… AND I began to cry. I couldn’t hold back my tears so I walked out of the dorms and stood upstairs. From the inside of the building I watched these broken people walking outside. I cried out to Jesus and pleaded with Him to break through the concrete barricades that prevented Him from encountering their hearts. While I was observing their different behaviors and looking at the way they carried themselves, I could see their brokenness. As I watched them I thought to myself about how they didn’t hide anything from anyone. And then the Lord spoke to me and said that the difference between them and us is that they aren’t too prideful to hide their brokenness or sins but WE cover ours up with clean clothes, nice haircuts, pretty make up, proper grammar and perfume or cologne. As I stood there convicted by the Holy Spirit, I sensed that God was showing me His heart for our missions trip. We are not to go out to walk in pride about serving those experiencing homelessness. As our acts were nice, loving, and cultivated courage within all of us that was NOT all God wanted to do. He wanted to show us that through our “actions” He wanted to reveal the TRUE nature of our hearts…the brokenness and sins within our own selves. We left YWAM with more courage, more compassion, and creative ways to serve. But my prayer is that we all look within us and give access to those areas that God wants to make more like Him. This is what life is ALL about…to become more like JESUS.